Democrat (Term Expires: 2022) serving Lackawanna, Luzerne (part) and Monroe (part) Counties. Adjunct Instructor in Economics Kania School of Management, University of Scranton; former Executive Deputy Secretary PA Department of Community & Economic Development; former Director, Governor’s Northeast Regional Office in Scranton; former Vice President/Senior Advisor PNC Bank, N.A. 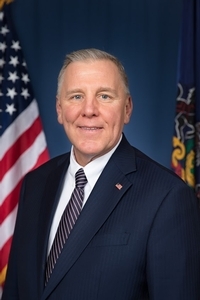 ; served over 10 years as Executive Director of the Lackawanna County Redevelopment Authority; and served as Executive Director of Lackawanna County’s Tourism Promotion Agency; Member of Senate January 4, 2011 to date.